They are now cast calling for all families around Australia, who have a passion for food and a love of cooking together as a family. Family Food Fight is a fresh, fun and authentic take on food that celebrates culturally diverse Australian families and the food that they love to make – together. They are now looking for families of all backgrounds who have a deep rooted passion and love of cooking food from their culture and heritage… Whether you put a fresh take on traditional dishes or enjoy making old family recipes handed down through the generations, they would love to hear from you! 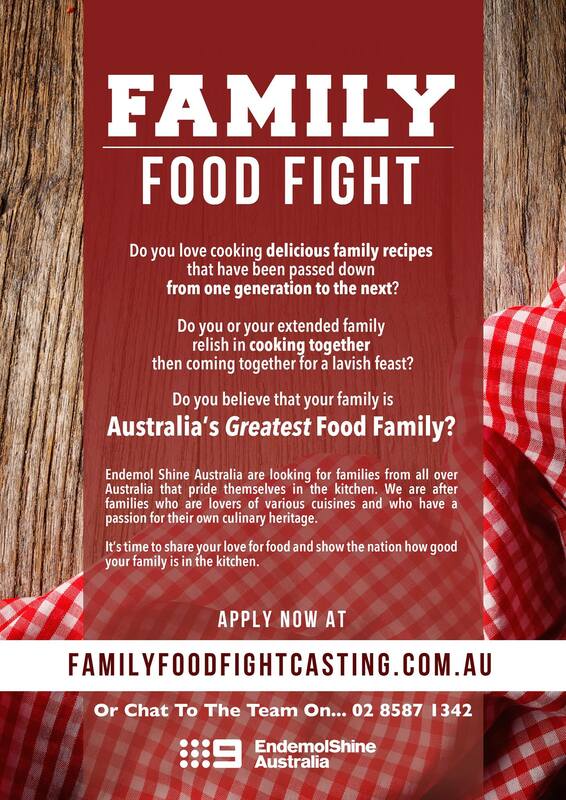 This is a show to help find Australia’s greatest family in the kitchen and award them a cash prize!